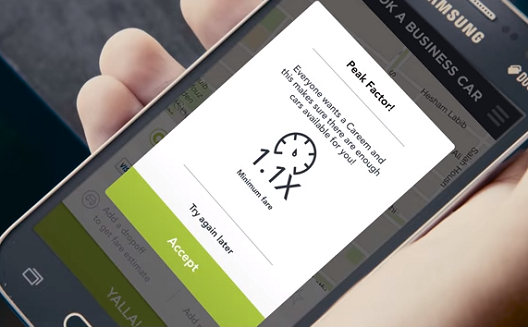 The Egyptian honeymoon may be over for Careem and Uber, who are being accused of almost round-the-clock surge pricing, but the companies say higher-for-longer fares are actually due to a massive boost in publicity. Egyptians have taken to social media and local media to vent frustrations that the companies are abusing their growing market power by maintaining higher priced fares, more often. “Your "surge prices" have now become the standard pricing," Ismail Al-Bahar wrote on Facebook. 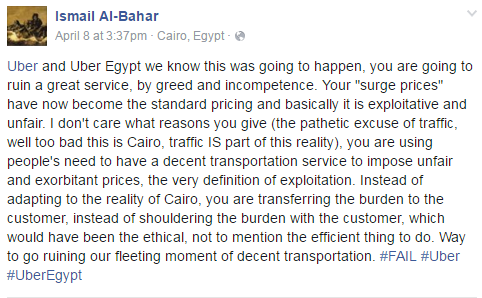 “You are using people's need to have a decent transportation service to impose unfair and exorbitant prices, the very definition of exploitation.” The post received 2,000 likes and over 1,000 shares,. ‘Surge pricing’ refers to the automatic fare increase when demand is higher than the number of drivers nearby. For example, a trip by the writer between the Cairo suburbs Maadi and Fifth Settlement normally costs around 50 Egyptian pounds (US$5.63) in rush hour, but with surge pricing it can rise by as much as 52 percent to 76 pounds (US$8.56). But the companies say higher prices are due to a huge publicity boost, and therefore demand, following taxi driver protests against the duo. 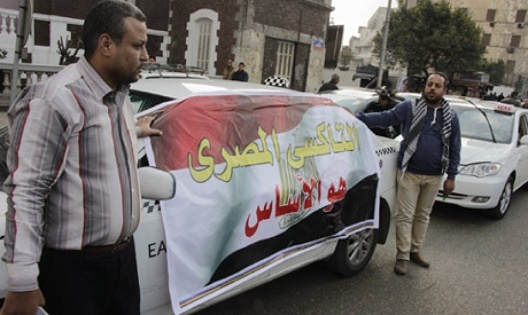 In February and March Cairo taxi drivers held a series of protests against the new players, demanding they shut down as the services were unfair competition and pushing them out of work. Careem cofounder and managing director Muddassir Sheikha told Wamda the protests had introduced many people to Careem for the first time. 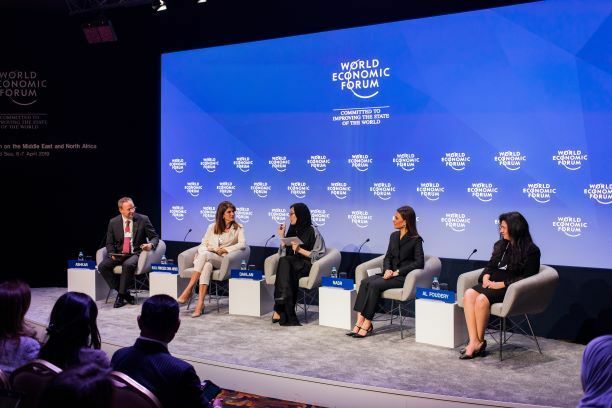 “When these protests happened, Careem was not very well-known in Egypt but as these protests started getting covered by news and radio, everyone knew about Careem,” Sheikha said. Demand went through the roof and week-on-week demand growth ranged between 30 and 40 percent, he said. Sheikha argued that these increases were a simple supply and demand economic reaction and that the company “painfully decided to introduce peak pricing”, in November last year. Uber Egypt general manager Anthony Khoury said Uber’s drivers take the biggest percentage of the fare. “Uber still takes a 20 percent commission while the remaining 80 percent goes to the driver,” Khoury said. He argued that drivers were more likely to drive if prices were higher. “If a driver is watching television and the prices surge, he will be more encouraged to leave the television and drive the car,” Khoury said. The protests shut down parts of Cairo for several hours and on March 9 the government responded by saying it would form a committee to resolve the tensions. Around the world governments have been struggling to work out how to manage the ride-hailing phenomenon. France banned the lowest-cost option (where individuals drive their own cars), whereas a number of Australian states have regulated the services. In Egypt Uber offers its UberX and Uber Select services, both of which are run through professional car companies that use the app to source fares. Khoury, along with Sheikha, said the government had been cooperative with them. “The government is moving fast and it has formed a committee to try and resolve the issue,” Khoury said, adding that there was an open dialogue between Uber and the Egyptian government. Careem investors also met with Minister of Social Solidarity Ghada Waly and Minister of Local Development Ahmed Zaki Badr. Khoury and Sheikha remained tightlipped over whether the talks were progressing. The inference was that the government was inclined to accept their presence in the market, but the winding down of taxi driver protests meant any urgency around the talks had disappeared. Instead of stopping the companies in Egypt, the protests introduced new clients to the services. Many defended the services and argued that it was a cleaner, safer, air conditioned and a much improved service for a slightly higher price. “It is a great option for me,” 30-year-old Ola Ezz said. Ezz, who works in Maadi, added that she was willing to pay a slightly higher fare for a good service and a quiet ride. Ezz said that with Careem and Uber, she could be sure her destination would never be rejected. While some taxi drivers were demonstrating, other decided to improve their service and create a stable income for themselves. Wamda travelled between the Cairo suburbs of Zamalek and Dokki with Ostaz Hisham, a 37-year-old taxi driver. He offered several routes and asked us to pick the one we were most comfortable with. “I took a few notes from what I heard about these car services [Careem and Uber],” Hisham said, explaining that with a lower stable price and “an improved service” he started focusing on building his own “list of clients”. Hisham said he asked whoever rode with him to choose their preferred route and to make sure the fare meter was working.